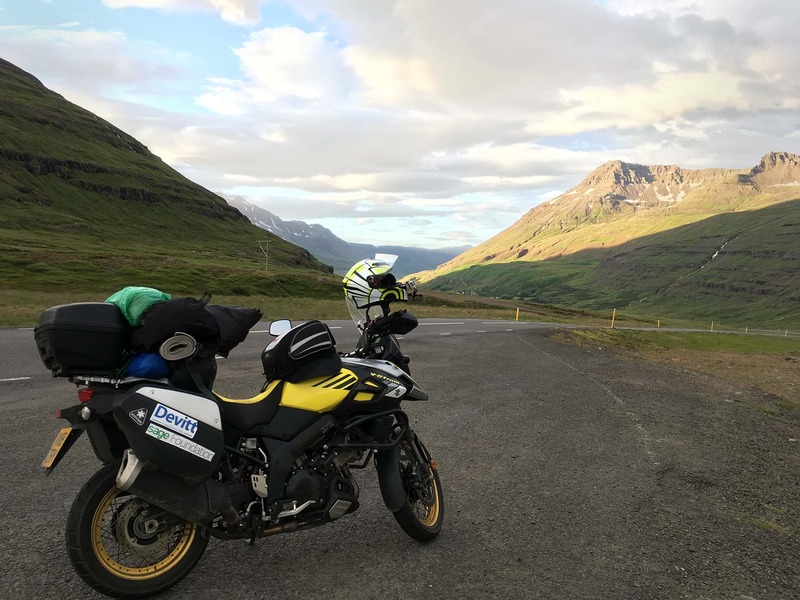 Last month Gordon had to make the difficult decision to postpone his original trip to Alaska via the treacherous Dalton highway due to a lack of insurance from US providers after the recent changes to data is handled between countries. He didn’t let this problem stand in the way of a trip to the Arctic Circle though and immediately began searching for alternatives. 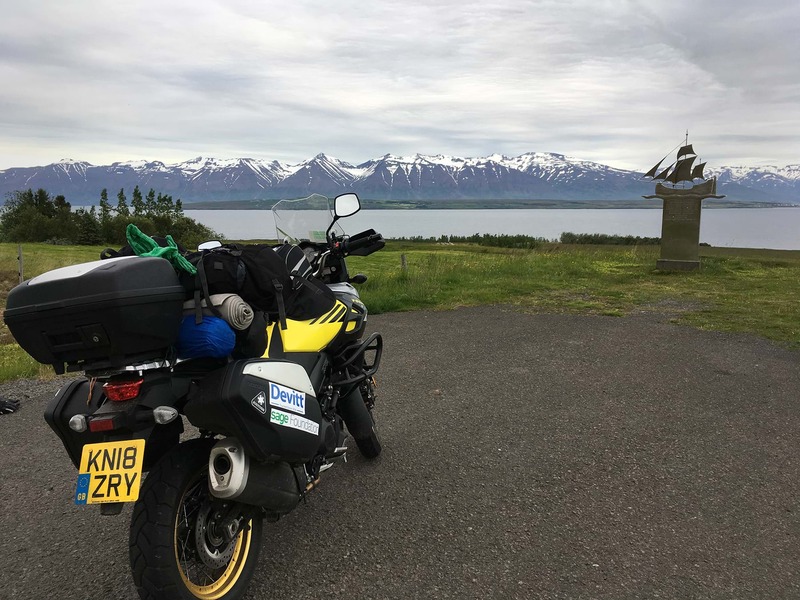 After completing the journey and returning home to spend some much needed time with his family, we were keen to get Gordon’s thoughts on how the journey went, what he saw along the way and what challenges he had to overcome. “I did 600 miles over two days which was a nice way to ease into the trip. 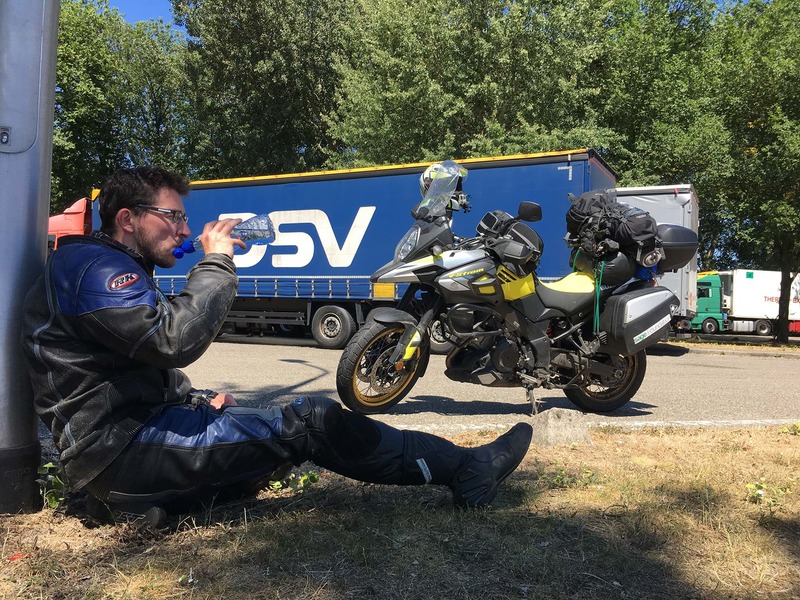 Day two was a 400 mile stint, but being Sunday meant traffic was light and the Dutch motorways and German autobahns made clocking up the miles easy work. I camped at Flensburg, which is a great harbour town and I'd highly recommend it for a visit. I met a few people along the way - at a service station just inside Germany, I bumped into a German chap I’d met the day before; he’d been caravanning in Cornwall, and we had a quick chat about how we were both getting on. “The crossing to Iceland was a long one. There was the usual queuing at the port and wait to get onto the ferry. I spent about 30 minutes strapping down my bike and helping strap down another rider’s beside me. My accomodation was a 6 berth shared 'couchette'. A couchette is half-cabin / half-hostel and was the only option that suited my budget. There were 6 bunk-beds inside, a saloon style door (no lock) and no power sockets or safe place to lock any belongings. I therefore spent most of my time up on deck, reading and planning my route around Iceland. 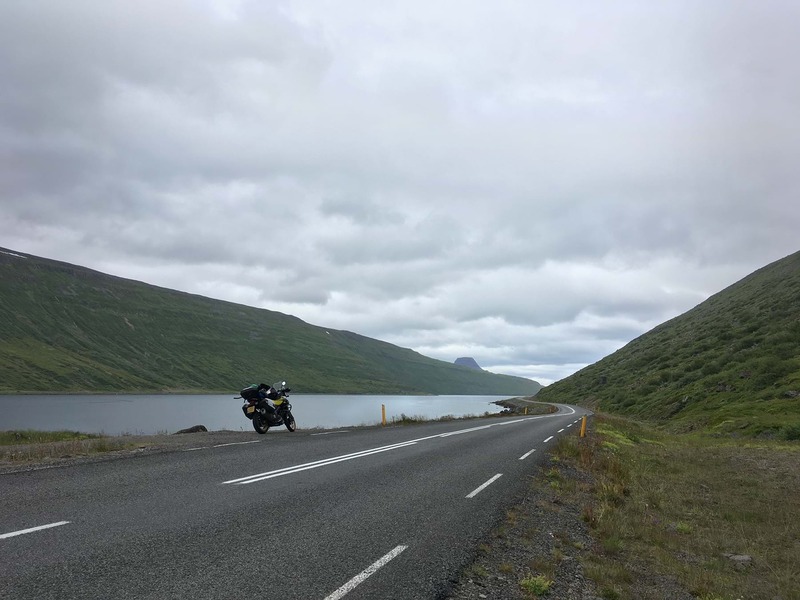 “I fuelled up in Akureyri and with only 25 miles to go the rain started to ease (although the wind didn’t). 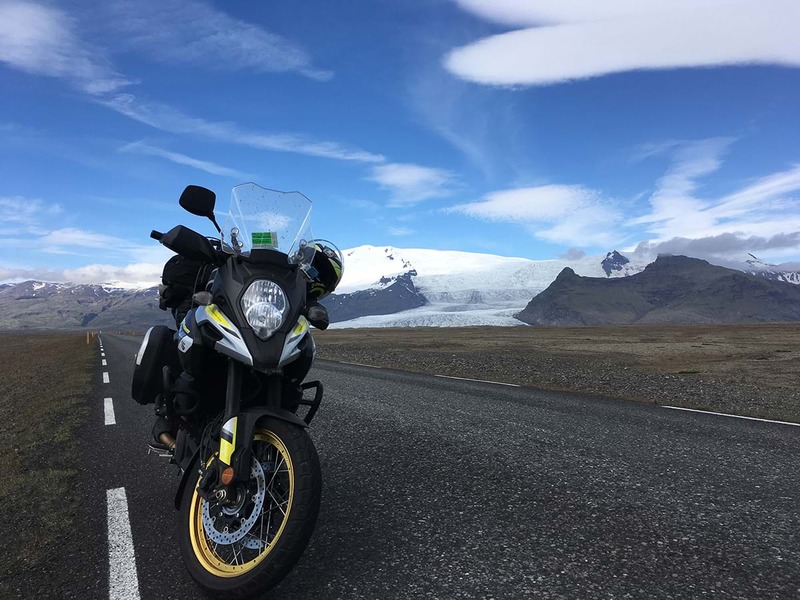 As the clouds cleared from the skies I was riding through some amazing scenery of crisp blue fjords, and snow-capped peaks that went on for miles. 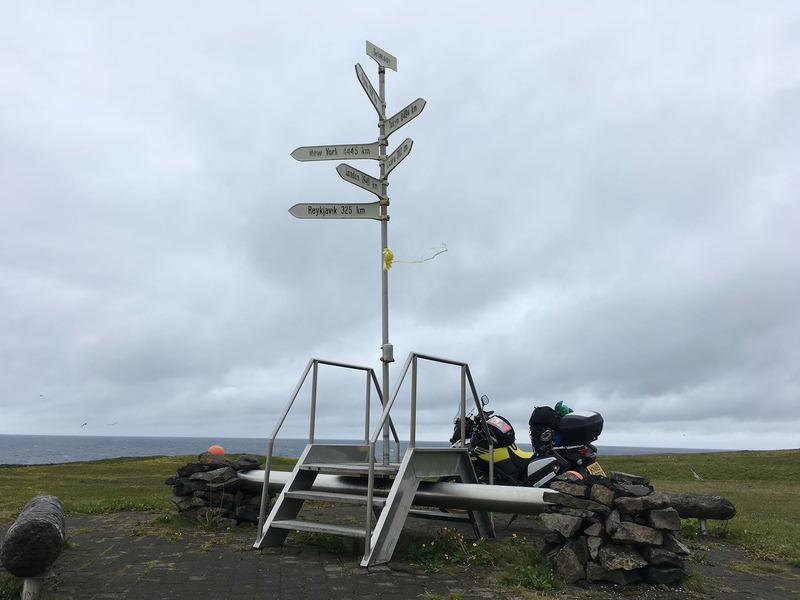 I pulled into Dalvik, found the shipping company’s office and booked the ferry for the following day, all with 20 minutes to spare until closing time. 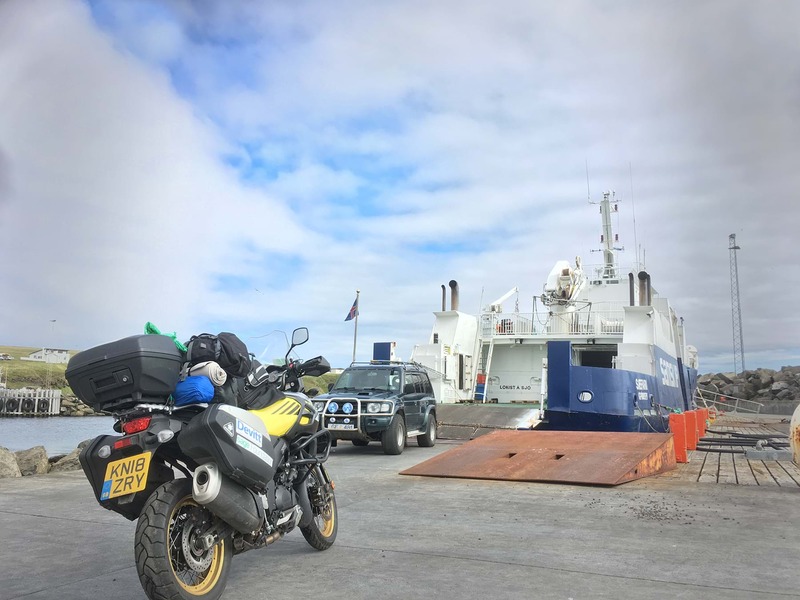 After a very choppy crossing to the island of Grimsey, a minute patch of land just north of Iceland, Gordon had but a few miles to travel before crossing into the Arctic Circle. This would mark the second time in his life he had done so. So far, he’d been on the road for seven days and had covered nearly 2000 miles. 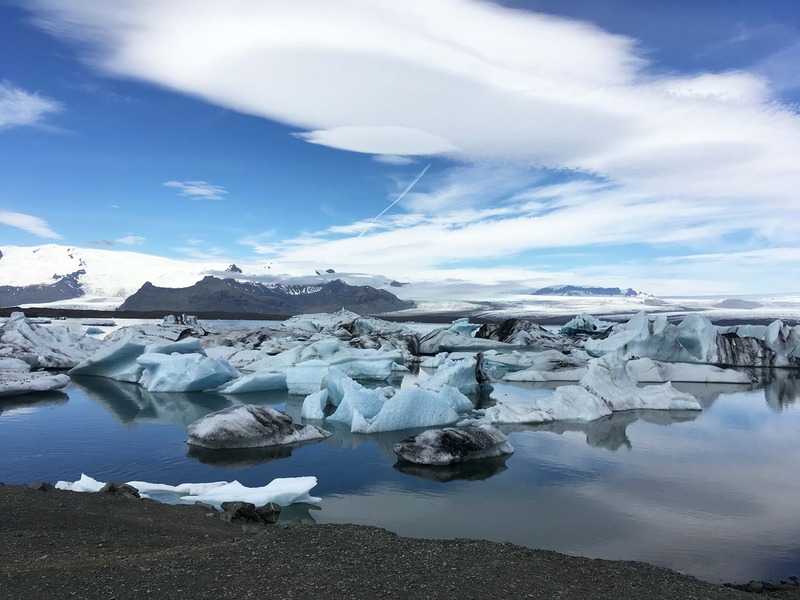 “I’d completed my mission to cross the Arctic Circle and with the ferry back to Denmark only running once per week, I had 5 days to explore the rest of Iceland. My route took me through some amazing scenery and some challenging road conditions. 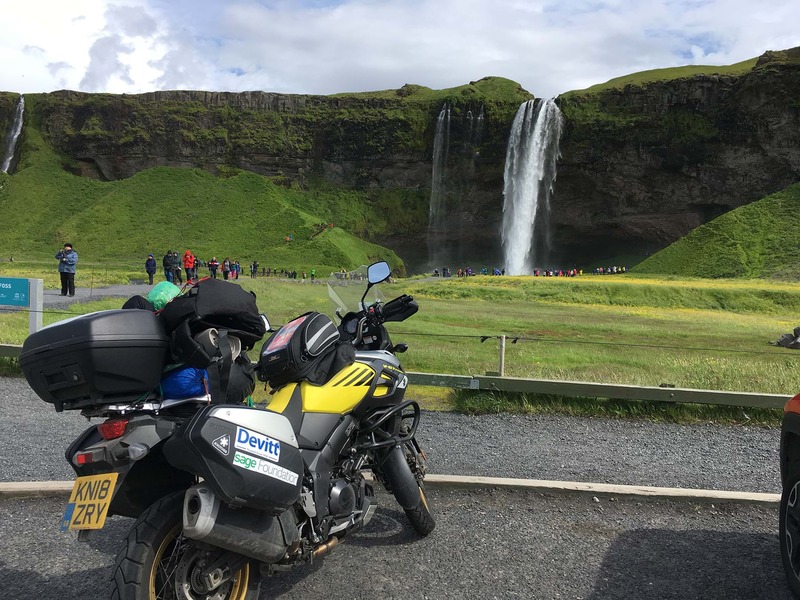 In the north of Iceland, several peninsula that hug the coast line had roads designated as 'paved' and turned out to be anything but - there were plenty of big rocks, loose gravel and potholes the size of small swimming pools. 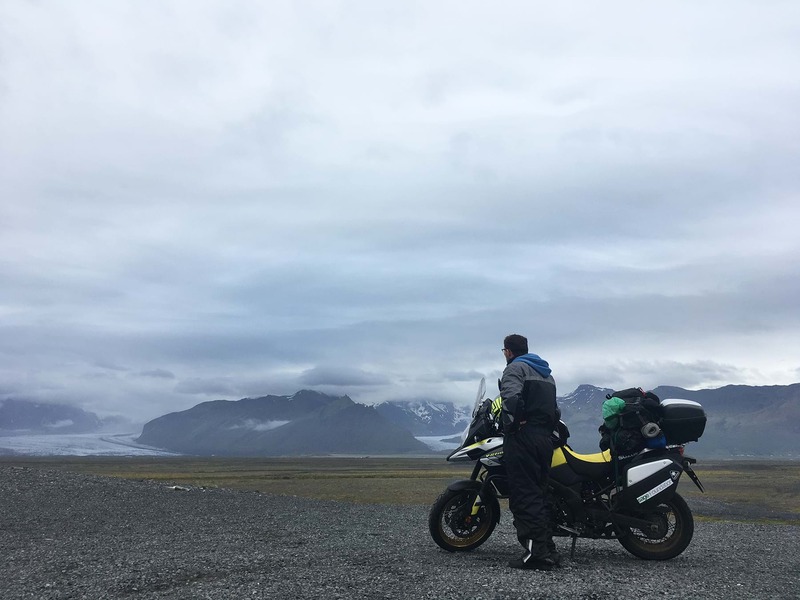 The weather continued to work against me but I found with the screen tilted to full and the heated grips on, I was able to remain comfortable in the saddle. With the journey to the Arctic Circle complete, the journey home had to begin. 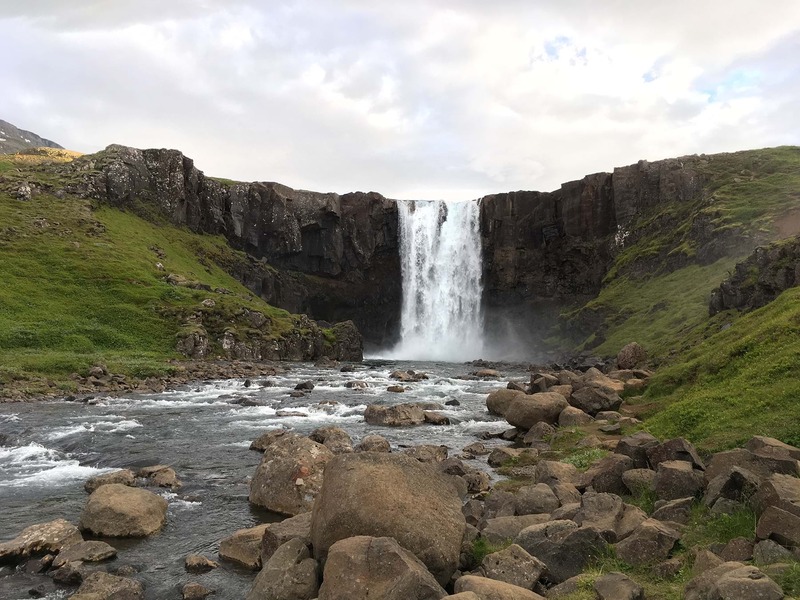 Gordon’s return route would take him back through Europe after stopping over at the Faroe Islands for a few days exploring. Forecasts of more gale force winds and rain though meant things didn’t quite go to plan. Gordon’s long term plan is to cross into the Arctic Circle in as many countries as possible. This means he has now completed two of the six possibilities. We wondered how it felt to tick off another country and get one step closer to achieving the overall goal. Those following Gordon’s life and travels will know that his adventures used to raise money for two charities close to his heart after they provided crucial treatment to his two children. With this journey complete, how much money had he now raised? To donate to Gordon’s supported charities, click here.